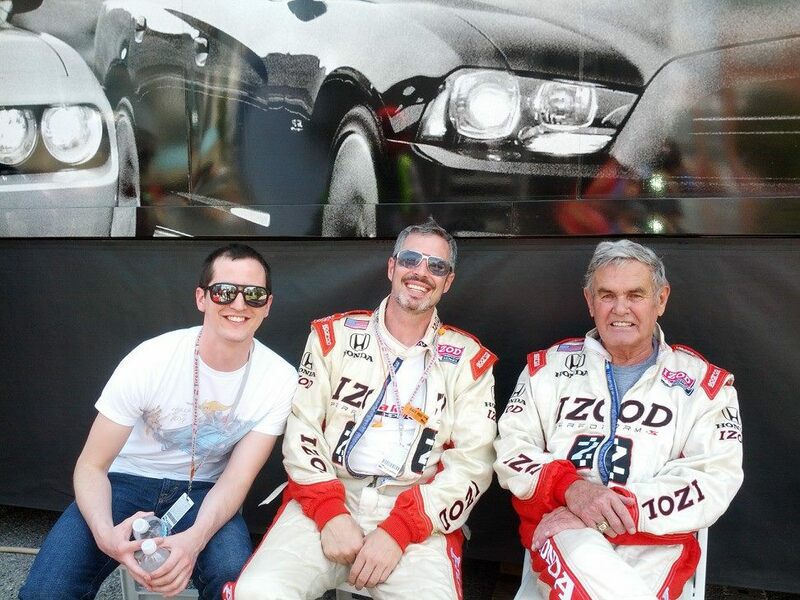 “Little Buddy” James, Me and Al Unser, Sr. Sometimes my Multiple Sclerosis leaves me confined to bed more often than I like. 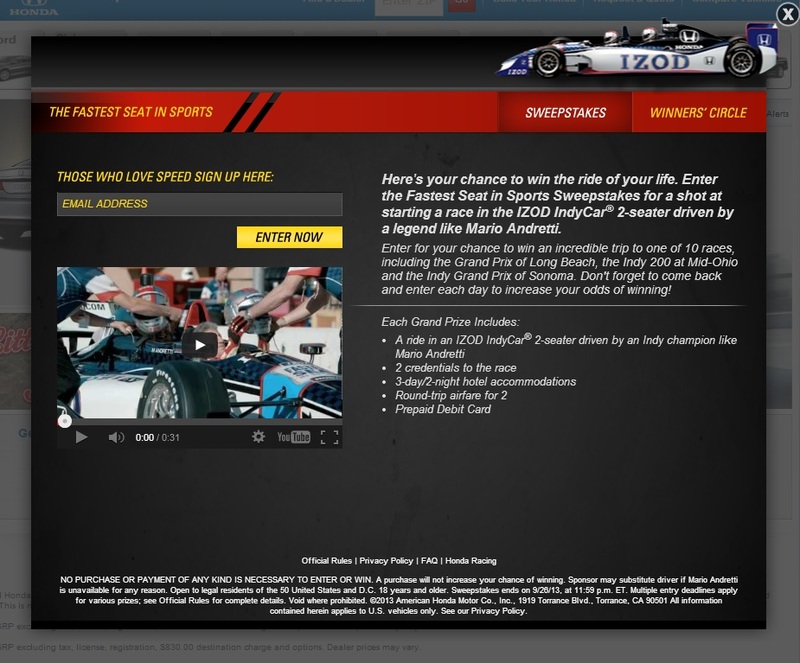 One way I pass some time while stuck in bed is entering sweepstakes online. I see it as a way to entertain myself; while I have no expectations of winning – I do HOPE to win. Over the couple years I have been doing this, I have won an i-pad, gift cards from Best Buy, Southwest Airlines, and i-tunes; coffee mugs, t-shirts and etc., but nothing of significant value. 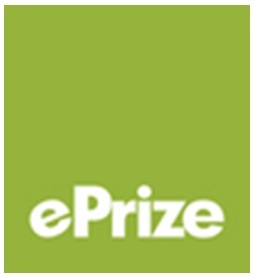 All of that changed on August 8, 2013, when I got a phone call from Cathy at ePrize explaining I needed to check my e-mail to sign and return the forms to accept my Grand Prize trip in the http://www.shophonda.com “Fastest Seat In Sports” sweepstakes. 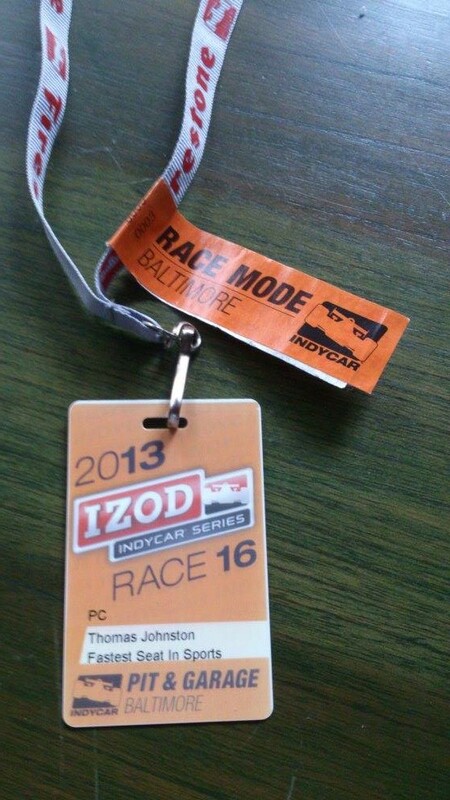 The grand prize trip to the IZOD IndyCar® Series Grand Prix of Baltimore included: a ride in the IZOD IndyCar® 2-seater driven by an Indy Champion, 2 credentials to the race, 3 days/2 nights accommodations, round trip airfare for 2, a prepaid debit card. That is what was listed as the prize on the site, but the official rules revealed the gift card was $250, and the package additionally included car service, a $500 IZOD gift card and a check to help pay the taxes. 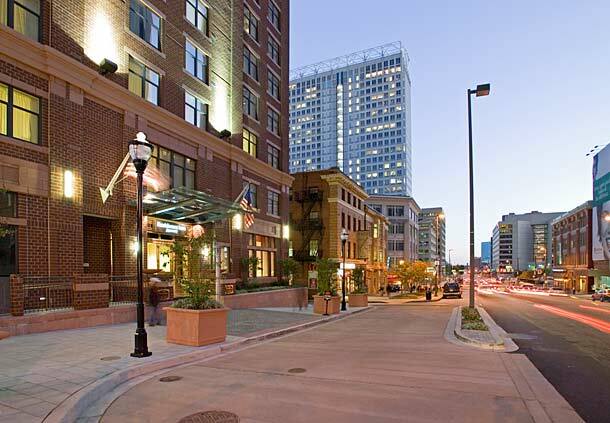 The Approximate Retail Value of the prize totaled $5,450! My excitement soon began to cloud. Because of my MS, I escape the extremes of the summer and winters in the US and visit Medellin, Colombia – The City of Eternal Spring. Since I was out of the country, I was thinking I would have to forfeit the prize. Since my buddy James lives in Washington D.C., I asked if he was my plus one and only one airplane ticket would be needed, could I fly from Medellin? The price of the ticket was within the budget and I was told that I could travel from Medellin. Furthermore extending the date of the return flight offered a lower fare and would allow me to visit my friend in D.C. longer. The trip to D.C. began with leaving my apartment at 1:45 am for the 45 minute ride to the airport so I would arrive 3 hours early for my international flight. Copa Airlines did not have agents available for us to check-in until 2 hours before the flight and they began by explaining the 5:22 am flight was canceled and I would be on the 7:00 am flight to Panama and would only have a 30 minute connect time (strike 1). Remember, I have Multiple Sclerosis and move slow? Well, my moving slow was no issue because when I arrived at gate 5 in Panama, we were told there was a gate change to gate 29 – on the other side of the airport (strike 2). Once I arrived at gate 29, I learned we had to go through security at the gate, as in they opened our bags and used the security wand on each passenger AT THE GATE (strike 3). Guess what? Our gate was changed AGAIN to gate 33 and here we had to go through security AGAIN AT THE GATE (strike 4)! How our flight was only delayed a little more than an hour is a mystery. This was a HORRIBLE first impression of Copa Air. For the canceled flight I was given a $100 flight voucher (forgiving 1 strike), but for the chaos in Panama – nothing (still leaving 3 strikes – they are out)! I doubt that voucher gets used because I doubt I will give Copa Airlines another chance. Thank goodness I arrived a day early so I had the opportunity to rest take it easy and have a simple dinner at my friend James’ house. 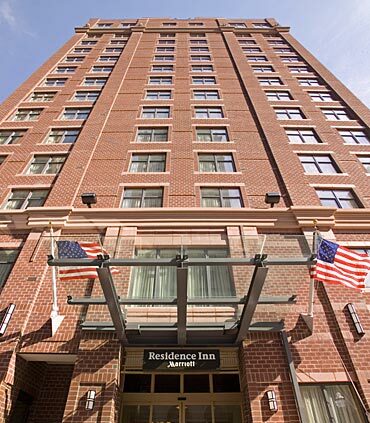 August 31, we drove over to Baltimore and checked in at the Residence Inn by Marriott Downtown/Inner Harbor where we were told, “Your room is already paid for and we just need a credit card for incidentals.” James and I dropped off our luggage and headed to pick up our credentials. The young lady that gave our race credentials informed us our credentials had an all important “PC” identifier that gave us access to the Paddock Club. Wanting a beer… we began our mission to find the Paddock Club. We began this search at the Paddock… that seemed logical! (lol) We flashed our “PC” badges and entered the “Andretti Club” since that was the only “club” we found at the Paddock and we were VIPS (lol). It turns out when we reached for a beer, we were told our badges were NOT for the Andretti Club and as we were “walked out”, the polite lady got on the radio and gave us directions to the area the Paddock Club was located – in the Camden Yards parking lot (home field of the Baltimore Orioles). We eventually found we had access to the official Indy Team VIP tent! (yay) After a couple beers we checked out some of the American Le Mans Series, searched for earplugs and went to dinner before calling an end to day one. Race day began with meeting Donny, the sweepstakes host. 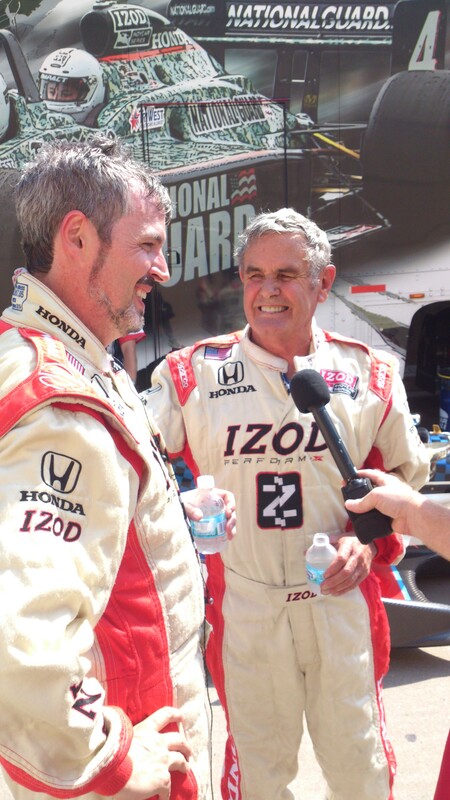 This is when I learned that not only would I ride in an IndyCar… I would be riding in the STARTING CAR with 4 time Indianapolis 500 Champ Al Unser Sr. as my driver! 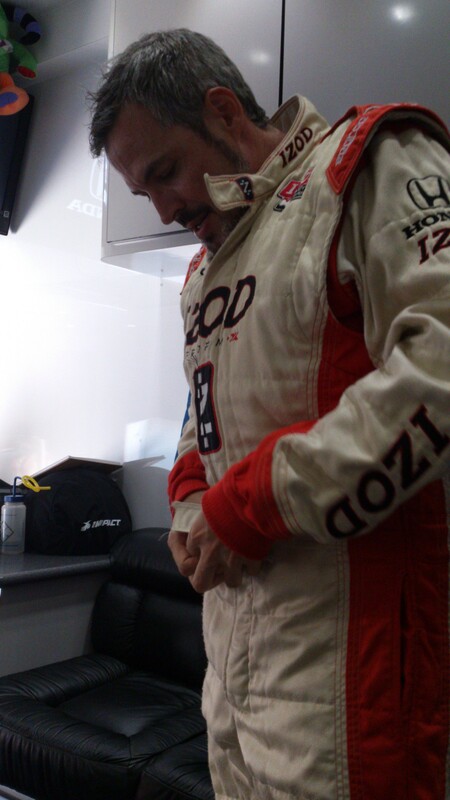 Off I went to the IZOD Indycar® 2 seater trailer to get suited up in a FIRE SUIT. This is when I met Al Unser Sr. in person and he could not have been more down to earth and friendly. I kept using Mr. Al when he looked at me and said, “Just call me AL” and I wondered in my mind if he would call me Betty. (watch this if you do not get that joke: http://youtu.be/uq-gYOrU8bA ) Before following Al across the IndyCar Stage where we were announced as lead car for the race, I was standing with a lot of the drivers just chit chatting. 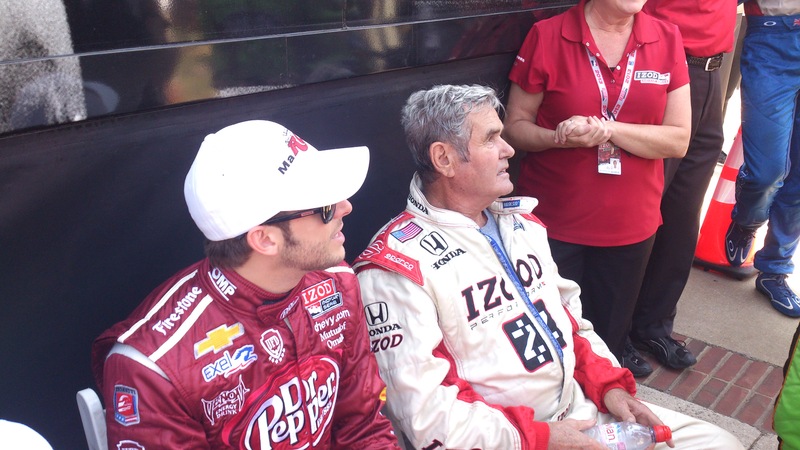 Marco Andretti, Scott Dixion were 2 drivers I recognized and Marco stole my seat next to Al! (lol) Then we were off to the Pits. This was my first race to attend and not only was I there… I was in the Pits being interviewed by tv cameras, with a Champion! It was as close as I have come to feeling like a celebrity! 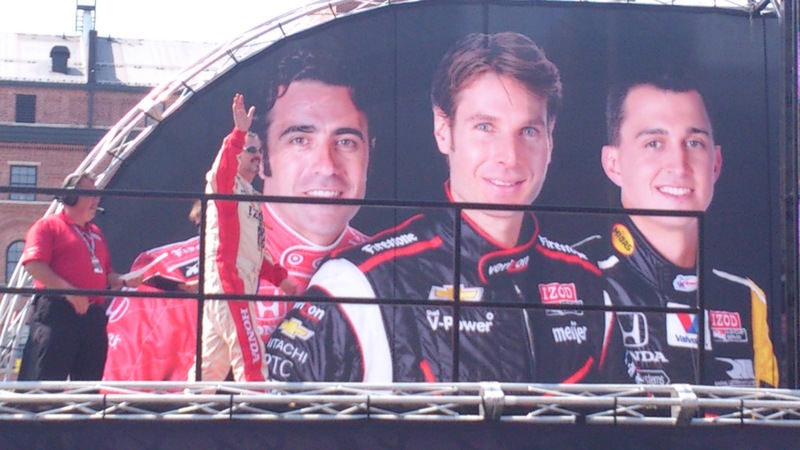 Now the time was here – I was climbing into an IndyCar! 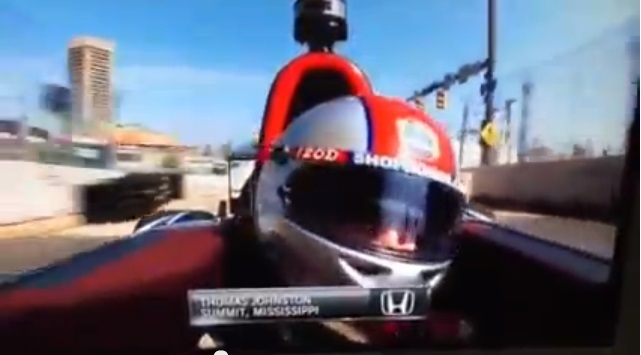 There was a microphone and earbuds in the helmet so I could hear the NBC Sports broadcast and was told they would interview me during my lap. Let me also tell you, there are a lot of straps that were connected to hold me in that car! (lol) I could hear the noise of the car and the sportscasters in my ears, I was overwhelmed as we took off. 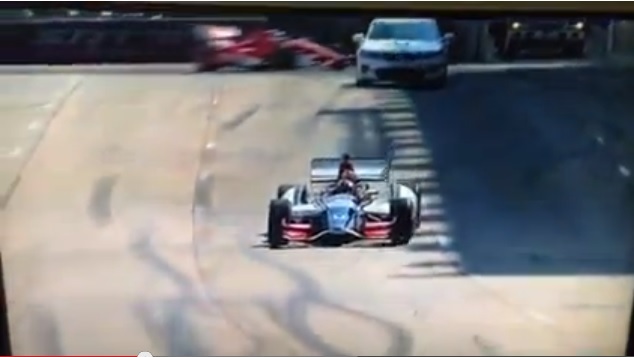 The first lap was a modest speed and I was thinking, “Oh, this is cute, to roll around the track in an IndyCar!” After the first lap, Al punched it and I felt Newton’s Law of motion take effect as my head flung back! I became a human bobblehead! At this moment, I heard the NBC sportscaster ask me how was the ride? All I could say at that moment was, “I’m a little frightened right now!” (lol) That was my witty retort! I had planned to say, “It is like riding with my Mother before we took the keys from her and trust me… that is a compliment for a race car driver.” But no, all I said was I was frightened! (lol) I really was NOT frightened, I was EXCITED and adrenaline had replaced the blood in my head and had taken control of my brain. Then I saw we were pulling into the Pitstop, just that quick … the ride was over. 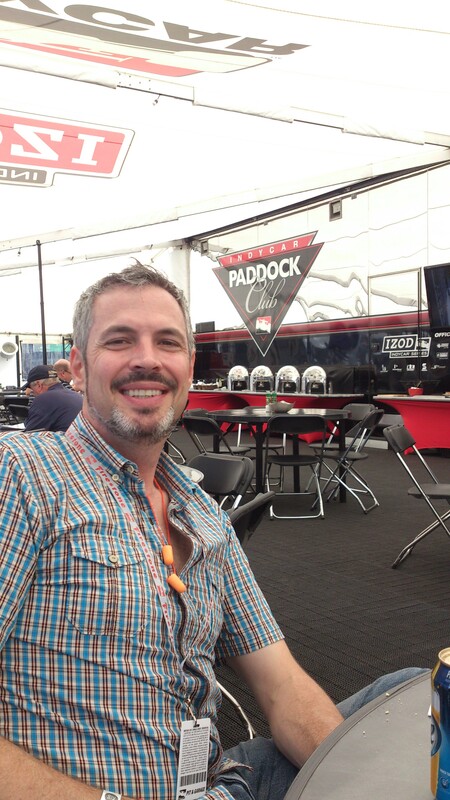 James and I had been given grandstand passes and we sat to watch the race. The experience in the grandstand was anticlimactic. I wanted to stand up and tell everyone, “That was me that was in the lead car!” But I did restrain myself. All weekend I had been telling people I was a sweepstakes winner, I was riding in the lead car for the race and now I could say THAT WAS ME! (lol) One drunk guy in the Paddock seemed TOO excited to meet me, but most humored me – especially James, he is very patient with me! I have to say, it was a GREAT experience and I was very happy my “Little Buddy” James was there with me. If my friend Camilo had a US tourist visa, it would have been him with me. Camilo is a true race fan, James was like me… we knew little and just went with the flow. I do hate Camilo missed out and guess what I heard last night, Camilo got his tourist visa and he told me, “Next sweeps win… I travel as your plus one!” But James is THAT friend who knows how to put up with me in this kind of situation! (lol). James stood patiently by my side through the whole experience and I am sure he still enjoyed it. James gets a jewel in his crown for being such a great support! At checkout I learned that the hotel had charged my card for the full stay when all I should have paid was the 2 days of parking. They corrected this, but it did tie up my funds for more than 3 days since it was a holiday weekend. Even after making this mistake and with the inconvenience it caused… we did not even get a discount on the parking. 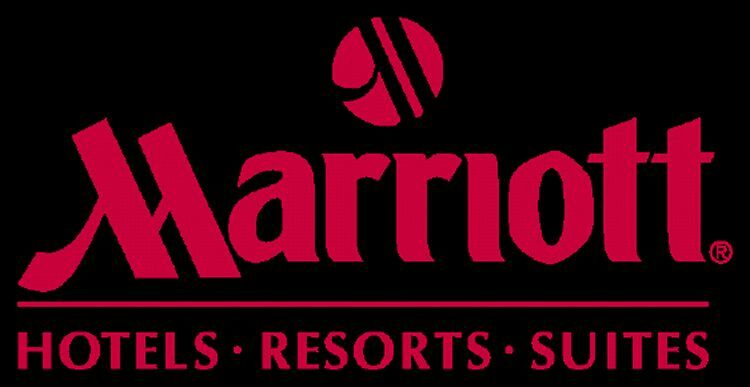 I am a former Marriott Rewards Platinum member and the fact they did not even acknowledge the inconvenience their error caused was a huge disappointment and now Marriott may join Copa as businesses to avoid when I travel again. 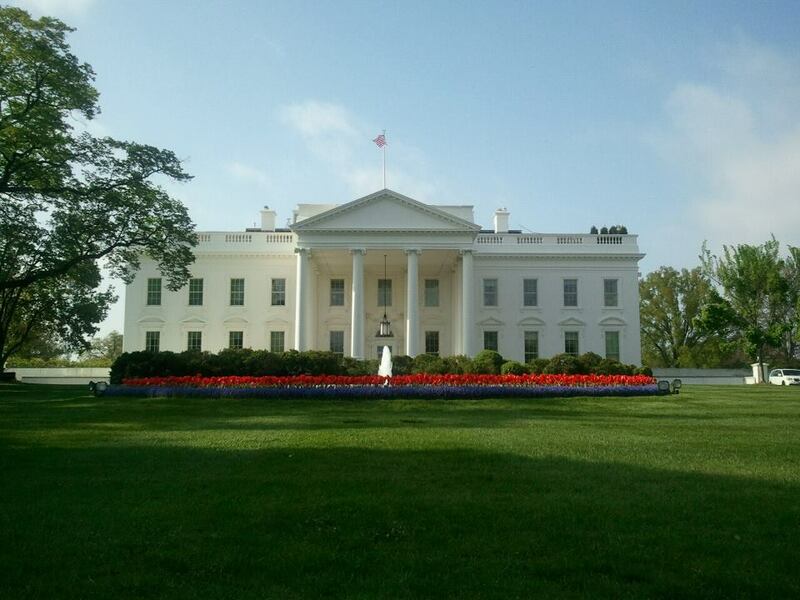 The next few days I rested in D.C. at James’ house because a weekend like I just had would tire most anyone, but with my MS, I was glad I had a few days to rest before traveling back to Medellin. 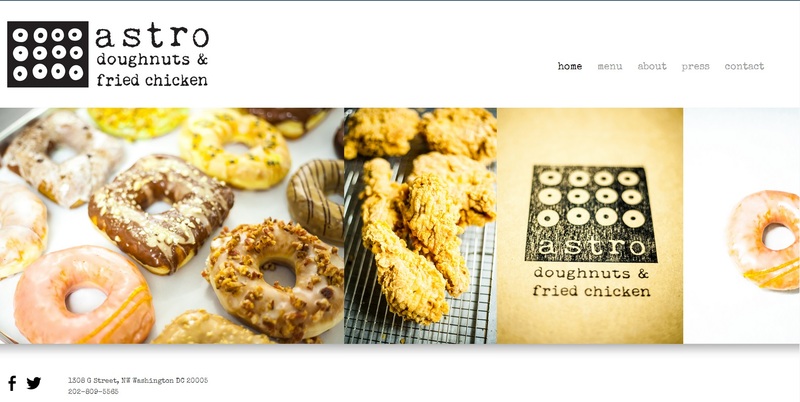 I did go into D.C. one day to get doughnuts at my favorite place, Astro Doughnuts & Fried Chicken… an indulgence I always try when in D.C. 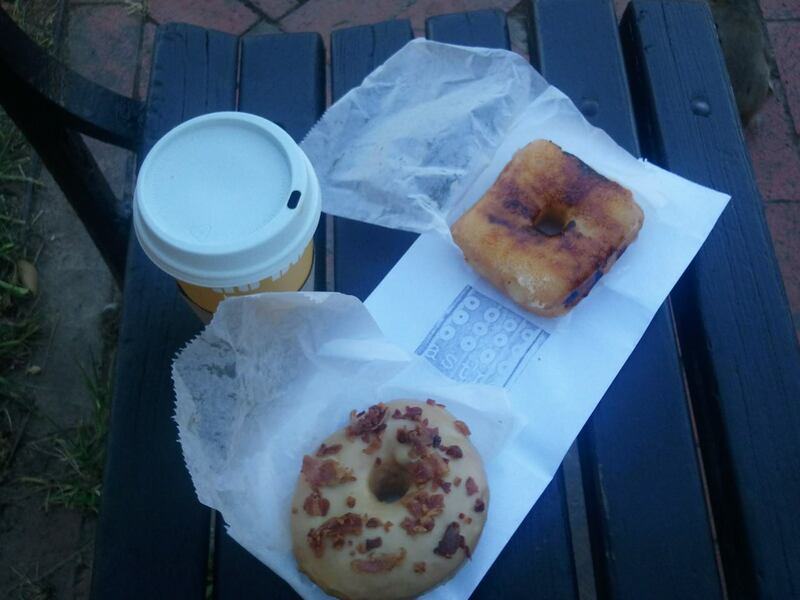 I took my doughnuts and BIG coffee from Au Bon Pain and sat in front of the White House and reflected how surreal my life is at times. All that was left was getting back to Medellin. 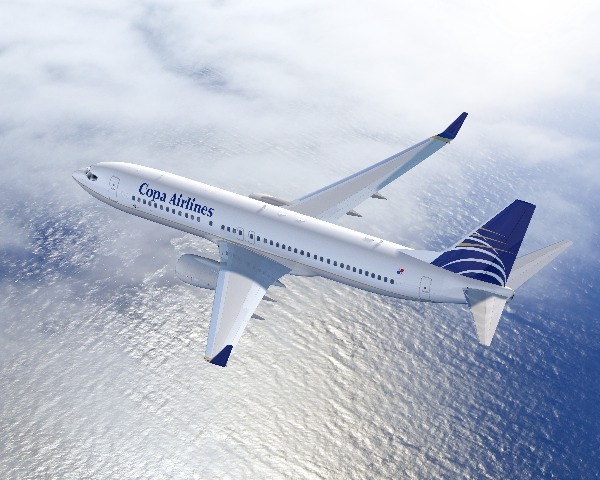 I dreaded my flight back on Copa Airlines, but made the best of it, but nothing special redeemed them and still doubt I fly with them again. 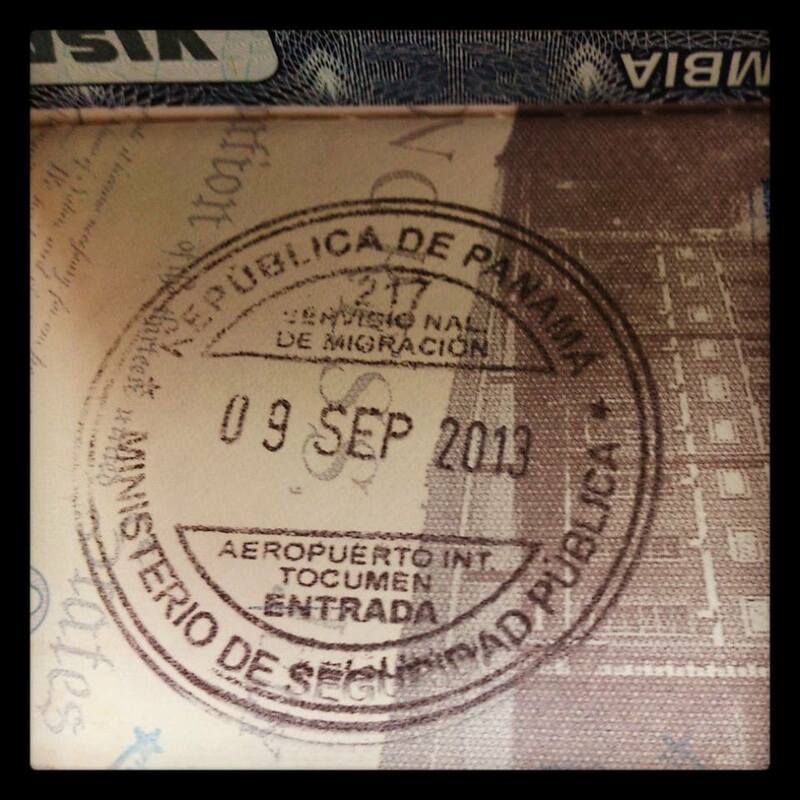 With a 6 hour layover in Panama, I took a taxi into Panama City had something to eat and a quick look, but for me the highlight was – I got a new country’s stamp in my passport. I have been home more than a week and just now mustered the energy to write about this astonishing experience. I fight my MS that robs me of so much, but even as I slept 12 to 16 hour nights since returning because the trip drained me so, THANKS to James for joining me and being such a great friend, I am so lucky to have a friend like him! 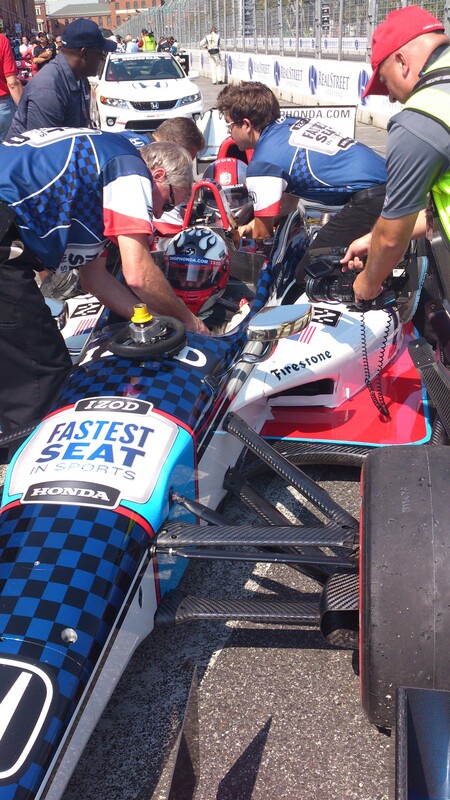 I am so thankful to http://www.shophonda.com for granting me this ONCE-IN-A-LIFETIME experience! Cathy at ePrize, Jean at Travel By Design and Donny the sweeps host also deserve a BIG THANKS for all their help making this such a great trip and an experience that simple folk like me seldom get to enjoy! My last thank you is to Al Unser, Sr. for simply being such a cool man! In spite of Copa Airlines and Marriott… the trip was a BLAST! There we are in the LEAD! How this was possible for me.